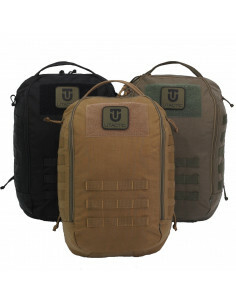 Tactical Backpack UTactic Raid Pack with 45+10 liters of capacity is designed for 3-4 day individual missions. 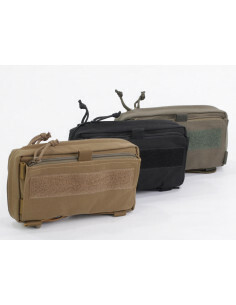 MOLLE system allows to attach additional pouches and other hitch gear. Three aluminum plates provide stiffness to the structure. The backpack can be adjusted to the individual’s height by moving the "back-straps" assembly along two stiffening plates. Semiflexible removable belt takes up a significant load portion from the back. A compartment for hydrator with two side outlets for a hose and two internal mesh pockets are provided inside the backpack. The backpack design provides top loading with quick access to the center and bottom compartments. A zipped partition between the central and bottom compartments is removable. The removable valve has a compartment that can be accessed both from the outside and the inside. There are two open pockets with drawstring closure with a retainer on the outer side walls. Side ties of the backpack are removable. The backpack has 5 carrying handles. Combined MOLLE PALS bands allow to attach standard pouches with MOLLE PALS interface and various non-standard gear (an ax, etc.). There are buckles for attaching various oversized gear on the front panel of the backpack. Fastex buckles on slings provide quick removal of the backpack. Delivery time should be agreed with a manager. Backpack capacity - 45 liters of main volume + the possibility to increase the volume by 10 liters by expanding the tube. Backpack weight with the belt - 2.5 kg. UTactic FDP-Bottle pouch for carriage of flasks and bottles is intended for use with the UTactic First Day Pack backpack and other gear. 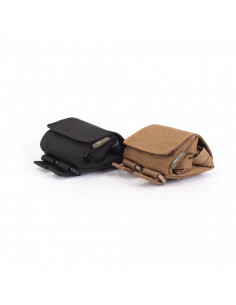 The pouch can be attached to any part of gear by using MOLLE interface. 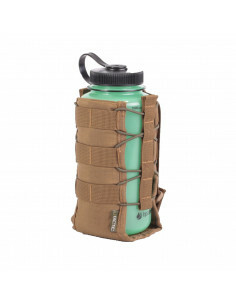 MOLLE strapping is removable and comes with the pouch. FDP-Bottle pouch is custom-sized, so a bottle or a flask will be fastened securely. 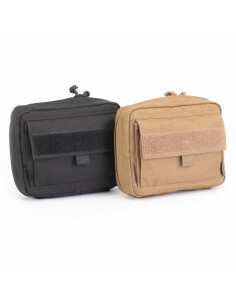 UTactic Fanny Pack everyday universal bag is intended for carriage of minimal EDC kit. 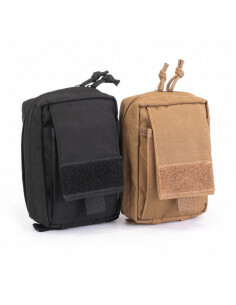 With help of several attachment options, UTactic Fanny Pack can be used as: Fanny pack; Standalone bag (with help of attachment of shoulder strap to 2 D-rings); Pouch (by attaching it to gear with help of the MOLLE interface); Leg bag.